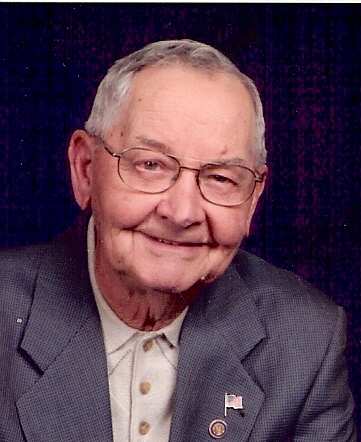 Harold Francis Edwards, 94, of Lathrop, passed away January 25, 2019, at his home with family at his side. A Masonic service will begin at 12:30 pm, with visitation following from 1:00 pm until his funeral service begins at 2:00 pm, on Saturday, February 2, at the First Christian Church of Lathrop. Burial will follow at Cameron Memory Gardens. In lieu of flowers, memorials are suggested to the First Christian Church of Lathrop, Lathrop Masonic Lodge or to the Lathrop American Legion. Harold was born May 28, 1924, near Cameron, MO, one of nine children of John and Eva (Zinn) Edwards. He was preceded in death by his parents and all eight siblings. He graduated from Cameron High School and later served in the US Army in the Philippines during World War II. He was united in marriage to Bonnie Lou Cox on June 19, 1948, in Kansas City, MO. Harold’s career with General Motors at Fairfax spanned 30 years, retiring as a final inspector. Following retirement he worked for John Hill, managing school buses for Polo, Cameron and Lathrop schools. Harold was very active in his community, including serving as an Alderman and on the board of directors for Senior Housing. He was a member, past deacon and elder at the First Christian Church of Lathrop. He began his Masonic life at Bee Hive Lodge in Lawson and was a member of Lathrop Masonic Lodge, Scottish Rite Bodies Valley of St. Joseph, and a former member of Ararat Shrine Temple and its Chanters Club. He was also a member of the Lathrop American Legion. Survivors include his wife of 70 years, Bonnie; children, Robert Edwards (Pat), Linda Kersten (Peter), Jeff Edwards and Grant Edwards (Tammie); seven grandchildren, nine great grandchildren, many nieces, nephews, other family members and friends. A Masonic service will begin at 12:30 pm, with visitation following from 1:00 pm until his funeral service begins at 2:00 pm, on Saturday, February 2, at the First Christian Church of Lathrop. Burial will follow at Cameron Memory Gardens. We were so sorry to learn of Harold's passing. We always enjoyed being around him. Prayers for all who loved him. To Bonnie Edwards and family, Sending our deepest and sincere sympathies in this time of lost. Our thoughts and prayers are with you and family.